The volcano began erupting early this morning, making it the third eruption this year (after the ones in January and May). Following an increase of earthquakes over the past days, an intense seismic crisis started 22:20 local time last night - sign of the magma moving towards the surface. The eruption itself, when the magma reached the surface, began at around 00:50 this morning from a new fissure on the SSW slope of Dolomieu crater near the Chateau Fort cinder cone. A curtain of lava fountains from the eruptive fissure was active this morning, feeding a lava flow that rapidly traveled several hundred meters downslope. 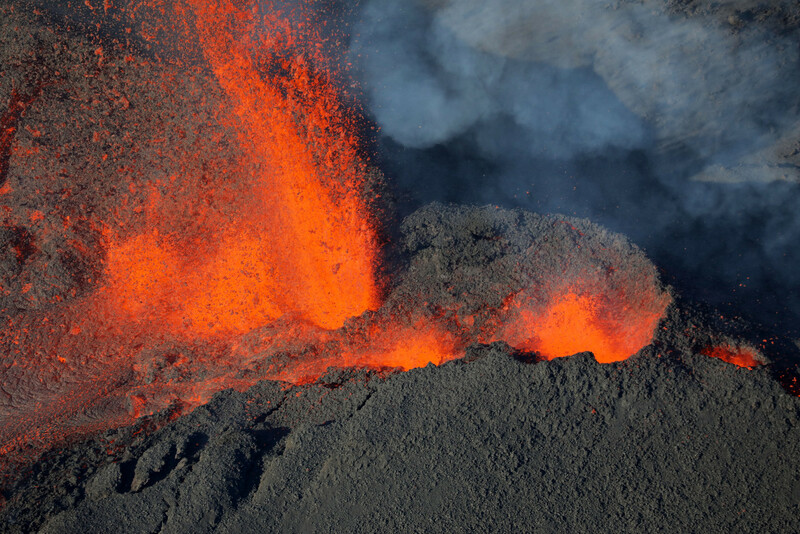 The Prefecture of Reunion triggered alert 2-2 ("eruption in progress") and as usual closed public access to the Enclos.